Healthcare costs for four common procedures are rising as hospitals and health systems employ more physicians, according to a new study. A 49% increase in hospital-employed physicians between 2012 and 2015 led to a $3.1 billion increase in Medicare costs related to four specific procedures in cardiology, orthopedics and gastroenterology, according to analysis from consulting firm Avalere Health. Medicare paid $2.7 billion more for diagnostic cardiac catheterizations, echocardiograms, arthrocentesis and colonoscopies delivered in hospital outpatient settings than it would for treatment in independent facilities, while beneficiaries footed a $411 million higher bill. Hospital-employed physicians performed more services in costlier hospital outpatient settings, resulting in up to 27% higher costs for Medicare and 21% for patients. For some of the procedures studied, employed physicians were seven times more likely to provide more services in a hospital outpatient setting than an independent physician's office, which contradicts healthcare's developing value-added mantra. The employment trend seems to have shifted care to higher-cost locations, which is concerning, said Robert Seligson, president of the Physicians Advocacy Institute, which published the study last week. But the potential impact on quality still needs to be explored, he said. "Hospital consolidation pushes healthcare costs upward," Seligson said. "The impact of hospitals owning outpatient practices places a greater financial burden on Medicare beneficiaries and on taxpayers." More physicians are joining larger organizations, in many cases major health systems, to take some of the uncertainty out of their business. 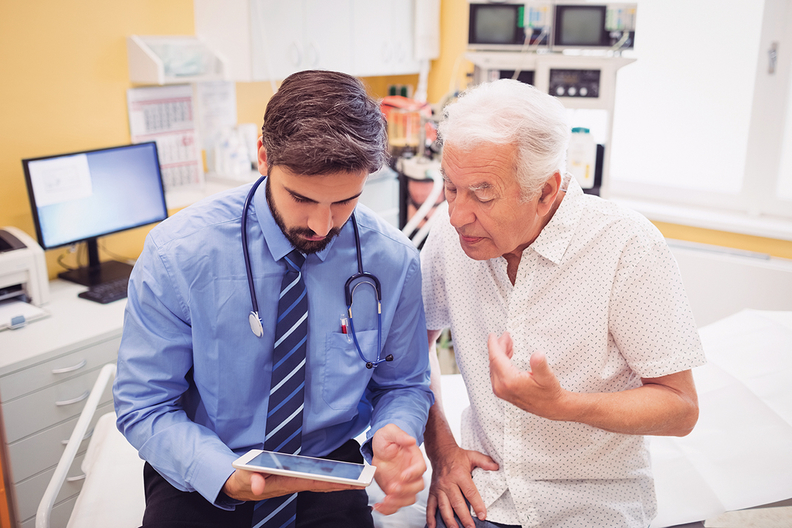 Rising compliance costs related to satisfying new payment models, growing administrative burdens for managing data and documentation, and Medicare and Medicaid's lower reimbursement levels, are unsettling independent physicians and putting their practices in jeopardy. As employees of larger organizations, they may benefit from higher reimbursement for services performed in the system, a streamlined administrative process, an integrated model that can better tackle population health, and from potentially qualifying for the 340B program that requires pharmaceutical companies to discount drugs for providers who treat a large share of uninsured and indigent patients. In turn, health systems have the potential to secure more referrals and spread costs over a wider patient base. "When hospitals grow their physician network, with a subsidy of $150,000 to $200,000 per physician, they have to cover those costs by driving ancillary services and (getting more people) in hospital beds," said Dr. Jeffrey LeBenger, CEO of Summit Health Management, an integrated, physician-led independent physician group that includes some 800 doctors. One of the main drivers of physician acquisitions is to increase referral networks, he said. While research suggests prices will likely rise with the rapid increase of hospital-employed doctors and that referral patterns will lean toward the system that employs them, it's been inconclusive on the impact to quality. The jury is still out on whether vertically integrated providers will yield greater efficiency, said Matthew Katz, CEO of the Connecticut State Medical Society, who is also a board member of the Physicians Advocacy Institute. "There is a disconnect in the payment model that is presently employed. The cost of care is based on the payment model and is not driven by value or quality," Katz said, adding that the payment models should adapt. Between 2012 and 2015, the number of physicians employed by hospitals grew by 46,000 (49%) while the number of physician practices employed by hospitals increased by 31,000 practices, an 86% increase. These additional costs may not be sustainable, said Joel French, CEO of SCI Solutions, which offers web-based access management products that connect patients, referring physicians and hospitals. Even though the doctors are employed, health systems run into problems with physicians' referral patterns and can experience out-of-network leakage of 30% to 40%, he said. "In the world's most complicated regulatory environment, why do we believe hospital operators can somehow be confident in managing physicians? The record shows they aren't," French said. Some payers have been pushing back on hospitals and systems that have profited off reimbursement rules that allow them to charge higher fees for services delivered in hospital off-campus facilities than their independent ambulatory counterparts. Anthem, for instance, will no longer pay for elective MRIs or CT scans for its fully insured members that are delivered at hospitals in nine states. While CMS lowered these "facility fees," there's still an incentive for hospitals to employ more physicians, coupled with the greater leverage hospitals would have with private payers in negotiating payment rates, healthcare policy experts said. "We do document price increases after a hospital acquires physicians and part of that are the facility fee payments," said David Dranove, professor and co-director of health enterprise management at Northwestern University's Kellogg School of Management. In one instance, a colonoscopy would cost Medicare 164% more ($1,090 versus $413) if provided in a hospital outpatient setting than in an independent physician's office, the Avalere study found. Researchers studied Medicare payments and beneficiary responsibility using a model that assumed the same patients would receive the same procedures but in a different care setting. While the reimbursement rules are actively changing and the march of rising healthcare costs has slowed, more physician practice consolidation is likely, experts said. "Continued consolidation in the hospital market will absolutely increase healthcare costs in the short run," LeBenger said.